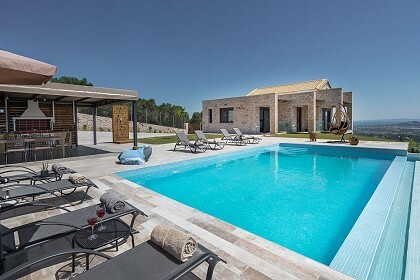 Located near the traditional Zakynthos settlement of Katastari, which is the largest village of the island, Artemis Villas are two luxurious holiday homes, decorated with taste, each with its own private space, swimming pool and built BBQ! 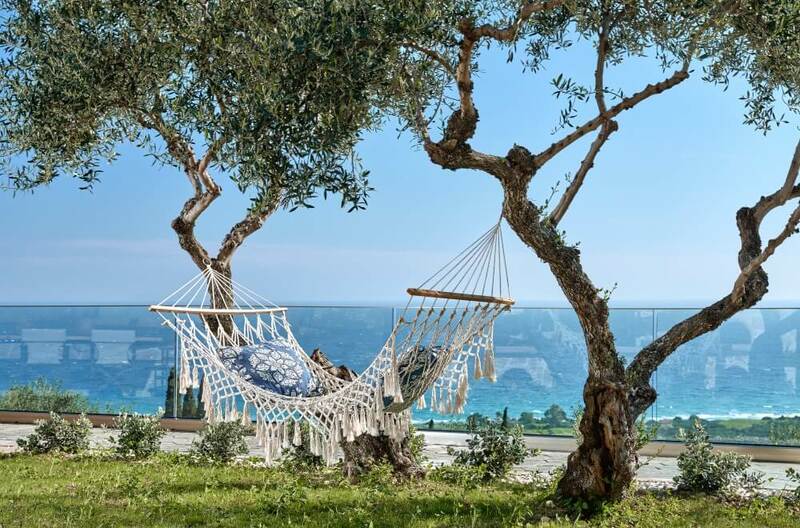 Relax within the grounds of the villa, by the swimming pool, sipping your cocktail and enjoying an unforgettable vacation on the jewel of the Ionian Sea. 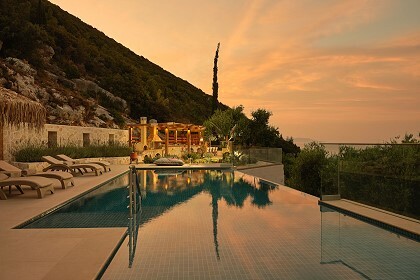 Each Villa measures 235 square meters, and can sleep up to 8+2 guests. 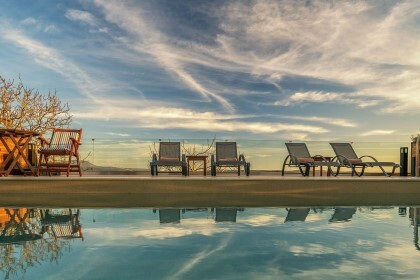 Both Villas can be booked together by large groups of guests (for example, 20 persons). 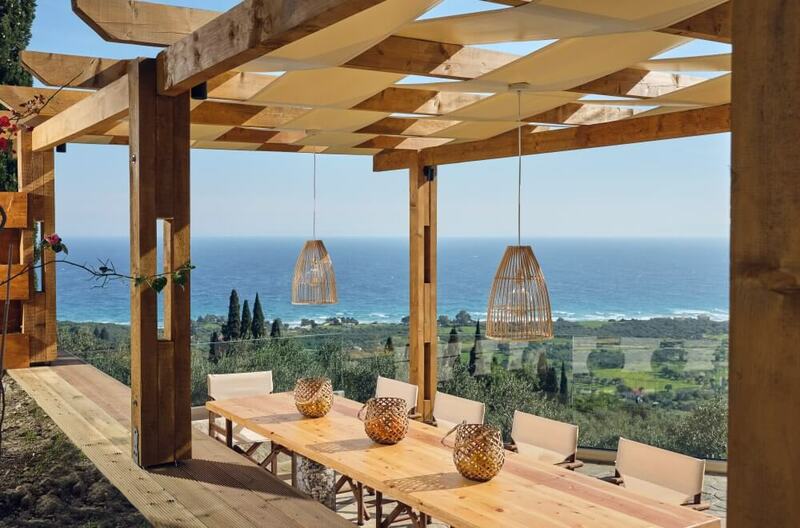 Each villa is spread on two levels: on the ground floor, there is a tastefully decorated, open-plan living room, perfectly combined with the fully-equipped modern kitchen and the dining area. On the same floor there is also a bathroom with a shower, as well as a furnished veranda with direct access to the swimming pool. On the second floor, there are two master bedrooms with queen-sized beds and private bathrooms (one with a bathtub and the other with a shower), and two bedrooms with twin single beds (that can be joined together to form queen-sized ones) which share a bathroom with a shower. 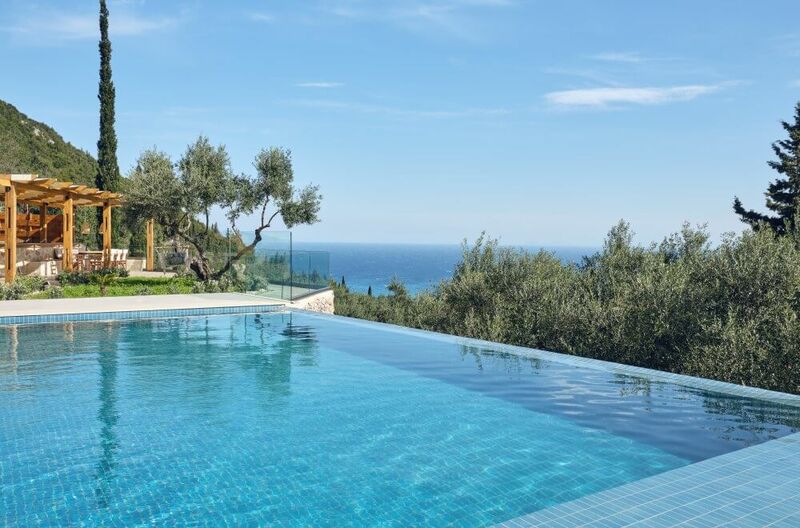 Every room has a magnificent view of the Ionian Sea and the swimming pool! Every Villa has its own private space, swimming pool and built BBQ, and there is a dividing wall between the two Artemis Villas. Additionally, the owners manage two restaurants – the guests may arrange dinner on request with delivery service! Artemis Villas offer a vast quantity of top-level amenities, including welcome basket, daily cleaning services, Netflix and satellite TVs, WiFi in all areas, and many more! 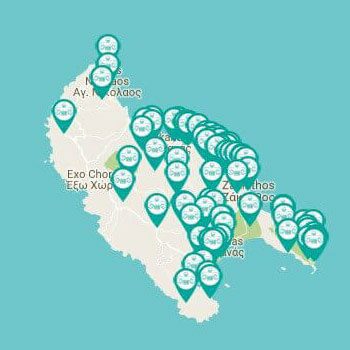 Additional amenities, such as transfer to and from the island’s airport/port, boat trips, excursions, car/motorcycle/yacht hires, can be arranged upon request and with an extra charge. 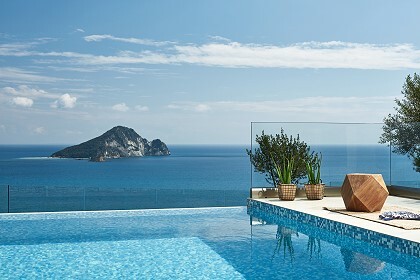 Artemis Villas are located in the vicinity of Katastari settlement, which is the largest village of Zakynthos Island. The village is located very near the popular tourist resort of Alykes with its magnificent sandy, organized beach! The Katastari village has everything a guest may need need; bakers, supermarkets, pharmacy, and various other shops.